PROJETO ONÇAFARI BRAZIL Bem vindo ao Brasil santuário ecológico do mundo, mas não olhem os brasileiros corruptos que fraudaram a nossa Petrobrás. Eles não merecem nem ter nascidos, o Brazil um pais maravilhoso como este. Eu digo: o Brasil não precisa destes idiotas brasileiros, traidores que vivem nesta política frágil. Eu digo ao pessoal da França e da Europa inteira. O Brazil é querido, mas tem meia duzia de traidores que tentaram sujar a nossa reputação. Eu estou escrevendo e chorando por saber que precisamos mudar isto e restabelecer a nossa boa conduta. Não generalizar as questões pois aqui tem gente boa que sua a camisa. O Brazil chora comovido. Ninguém queira estar na pele do bom brasileiro que tanto contribui, e nada recebe. O Brazil é riquíssimo, mas tem a política mais suja e corrupta do mundo. Não precisava estar dando satisfação. Mas a minha terra a minha argila, eu o defendo de unhas e dentes como um bom patriota, assim como os bons fazem com a sua boa reputação, O Brazil é querido e precisa reerguer-se e recuperar a confiança.!. 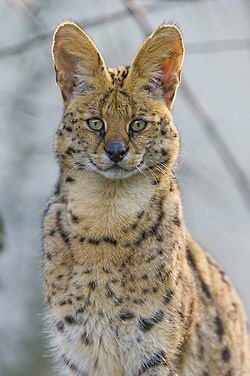 OI MEU NOME É VOCÊ QUEM DÁ, NA NATUREZA FELINA ME CHAMO SERVAL, SOU DÓCIL MAS DEPENDENDO DOS AGRADOS EU POSSO SER MEIGO! QUER ME DOTAR? COM POUCOS RECURSO EU FICO COM VOCÊ. GOSTO DE RAÇÕES A BASE DE FIBRAS E PEQUENOS ROEDORES, ENTÃO JÁ PENSOU EM ME LEVAR CONTIGO.!. :bulletyellow: Flutters is made from yellow and pink minky. Her eyes and wings were embroidered with a Brother Innovis 750D embroidery machine, Madiera Rayon embroidery thread, and Bernina V6 embroidery software. The eyes were designed and digitised by me. Her pattern was also designed by me. Her hooves contain poly pellets so she can stand well on her own, though she is a very heavy plush due to all that hair. She is 17 inches to the top of her head. Her forelock/front mane piece was sculpted with a foam core to hold it's 3d shape. Please do not ask for the pattern, under no circumstance will I be giving it out. :bulletyellow: I've been itching to make Fluttershy REALLY bad lately. She's a pony I haven't made since my 2nd ever plush, and I had a bunch of exiting things I wanted to try out on her. She's sporting a 3d sculpted mane, 3d ears, flat hooves, and my new open mouth smile pattern (which is available for commissions at an additional cost). This plush was exhausting to make. That forelock took me over a day to make. Never have I made a more challenging mane pattern. I'm thrilled to get to show off my open mouth pattern, and yes I will be making Pinkie with this in the future, I however already have one for myself so didn't want to make her again for the sake of showing it off.